Muscles are comprised of a whole bunch of stringy tissue that can stretch and contract. The muscle should have a certain amount of resting tone in it, i.e. at rest it is slightly contracted, not flaccid or extremely tense; this is dictated by the input of the nerve. If the nerve is irritated as it extends from the spine, or anywhere in the periphery it will result in an altered signal getting to the muscle. This altered signal can create bands of tension in the muscle which will strain the joint, the tendons and likely create pain. Muscles are attached to bones on either side of a joint by tendons. Tendons are a tougher tissue that only stretch a small amount; when the muscle is in a banded state, the tendons will have to endure a lot more stress and strain when the joint is used and the result is typically tendonitis. Here is a simple drawing illustrating a joint in a healthy normal state. The muscle is resting in a gently contracted state with some elasticity between the two tendon attachments to the bones on either end. The nerve is supplying a steady signal from the spinal cord and the joint should move freely and be pain free. On the other hand, here we see a drawing of a joint in a painful state due to and underlying nerve irritation. Something has annoyed the nerve which is causing it to send an altered signal to the muscle. Imagine a flickering light bulb in a lamp when the wiring is off. The annoyed nerve causes the muscle to create bands of tension like muscle knots. The knots are typically tender to the touch and the area can be colder due to poor blood flow through the tightened muscles. The increased tension in the muscle will compress the joint, ultimately leading to pain and potential degeneration over time. It can even make the bones feel bruised from the constant tug of the tendons. Postural issues that create a lot of immobility in the upper back tend to lead to an extension hinge in the lower part of the neck. This causes the person to move far too much through the C5 6 and 7 joints which can irritate the nerve roots as they extend from the spine. It doesn’t always have to create neck pain, but can simply annoy the nerve and lower the threshold for what it takes to overuse it further down the chain. The C6 and 7 nerve roots are the electrical wiring for your lats, biceps and triceps as well as the muscles in your forearm, so if the neck is irritated these muscles will hold tension. Postural imbalances and movement mechanics related to certain sports and jobs can also lead to tightness in these muscle groups. It is this combination of neck irritation and repeated movement patterns that can make elbow pain last indefinitely. 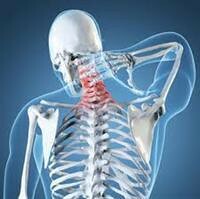 That is why the neck and muscle irritation must be dealt with first followed by postural correction. If you just treat the elbow pain, you are addressing the symptoms and not the cause. Many people will attempt to stretch and strengthen the forearm muscles with limited success because the root cause of the problem is not in the forearm. In fact, overly stretching and exercising the elbow while it is in an irritable state may in fact make it worse. The best course of treatment for sub-acute to chronic elbow pain is to first use IMS acupuncture on the neck, shoulder and arm then progress to postural and movement awareness of the upper back, neck and shoulder. IMS is an anatomy specific form of acupuncture performed by physiotherapists and doctors; it effectively tricks your nervous system into dampening down the tone in your arm. If you put an acupuncture needle into a healthy, happy normal muscle, not a lot happens, but if you put the same needle into a muscle that is knotted up due to nerve irritation, the stimulus will cause the muscle to contract and you will feel a deep crampy ache. This cramp will trigger a reflexive relaxation of the muscle and thus take tension off the tendons and bones. For a more in depth explanation of how IMS works please read “What is IMS Acupuncture” & “Explain Pain.” You can also click here to watch the Why Things Hurt video. IMS can significantly calm down the nerve irritation and pain and open a window for you to address your posture and movement problems that created the issue in the first place. The results of IMS can last quite a long time, but if you continue your faulty habits you are likely to re-irritate the nerves, muscles and tendons. Icing and resting the elbow alone won’t work because it just addresses the symptoms. Attempting to stretch and strengthen the forearm muscles tends to be a waste of time. IMS alone will work better, but again won’t be permanent because you can re-aggravate it. So the best bet is a combination of rest and ice initially, then IMS acupuncture and finally posture and movement awareness exercises. A physiotherapist that is specially trained in IMS is your best bet. Click here for a list of practitioners around the world. sorry Jackie I don’t think there are any physios in Vegas that do IMS. There actually aren’t that many in the States, but if you go to http://www.istop.org and search Find a Practitioner you can look for the closest person in the US that does IMS…..or come visit Vancouver….it’s gorgeous up here! Good luck!